Don't let your website be on a server with 2000 other people! IT'S JUST NOT WORTH IT! Your website deserves a quality web host! Are you STACKED? 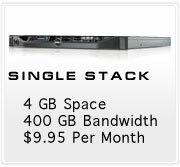 GetStacked with the finest in Web Hosting plans. With our Cheap Web Hosting plans, you will save loads of money on your Business Hosting, EMail Hosting, Website Hosting, Blog Hosting, Word Press Hosting, ECommerce Store Hosting and Forum Hosting plans. 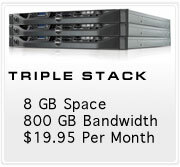 GetStacked utilizes the Apache Server to guarantee 99.99% uptime. That's Right!! ... We guarantee your website, forum, store, email, etc. will be up and running 99.99% of the time. We are constantly updating our security protection and server updates to keep your information safe from would be hackers, spam and spyware. 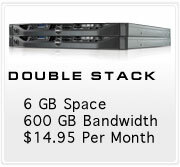 We offer some of the Cheapest Web Hosting on the Internet. With our great rates, you can save money and get what you need to keep your site up and running, without worry, without hassle, without going broke. 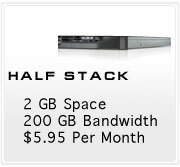 Whether you just need bandwidth or space, we have you covered.